Of all the things that bother us as purchasing professionals, what has to be at the top of the list is “after the fact PO’s”, meaning when your internal end user (customer) strikes a deal with a supplier and you find out about it after the fact. Now, purchasing will usually find the end user at fault for this. Why didn’t they get us involved up front? Time for more “education” inside their staff meetings, right? If these same end users did the same sort of end-around on finance or human resources policies, they would be unceremoniously fired, right? We don’t have that kind of luxury in our profession. But let’s think through this for a minute. You know about opportunity cost, right? In economics, that’s “the cost of forgoing the next best alternative”. Sounds academic, but it’s very real. For instance, when you go to a doctor’s office, the person on the bottom of the pay and capability scale checks you in. Then you see someone who is a little bit medically educated, and gets paid a little more. Then finally the doctor shows up, when s/he is good and ready. If the doctor did everything him or herself, the number of patients that could be seen would be cut by 70% or more. The opportunity cost is just too high for a doctor to be doing any activity that is below their skill and pay level. If you don’t have enough time to prepare for your biggest contract deals, and none of you do (I know, because I ask attendees just that at every seminar I teach), then what is the opportunity cost of spending time going from customer staff to customer staff trying to educate them on purchasing policies? Hint: it’s HUGE. And your customer groups might still do what they want anyways. And just one supplier might have hundreds of internal customers inside your company. Do you really have time for this? Now riddle me this: isn’t it easier to educate a supplier once, rather than trying to hound down hundreds of customers who face little consequence if they choose not to listen to you? What I always advocate is to turn the tables and make this a supplier performance issue. Suppliers need to change their “the customer is always right” mind frame. It sounds fine and dandy, but in reality, this attitude is killing you. It’s really simple actually. Why chase after the world when one person can help manage this problem for you. And while customers can thumb their noses and say “it’s not my fault, purchasing was a roadblock”, suppliers can’t. You pay them cold hard cash every month. You can even make this a contract clause. I know I used to, all the time. Every time I had something go wrong in my day job that had anything to do with a supplier, I’d create a custom contract clause to make sure that this type of excursion never happened again. It’s better to be Smokey the Bear than to be a fire fighter. And guess what? The contract clause I wrote made it a material breach of contract if the supplier responded to after the fact POs. Problem solved. Contracts are so fun once you understand contract law. You can stipulate everything down to the last detail, and focus on prevention of routine issues instead of prevention of things that don’t happen once a century (which is what the lawyers are supposed to look for). So don’t go chasing after all your customers. Win them over with your capabilities, and make them engage you early because they see the value in what you do – not because you’re spending half your time doing road shows, begging them to comply with purchasing policies. The only way for you to influence someone – anyone – is to focus on what’s in it for THEM. Nobody cares about our policies. Demonstrate with your actions that engaging purchasing early gets end users what they want, better, lower total cost, and faster. Let them come to you. And for those stragglers that don’t want to comply, put the monkey on your supplier’s back. Your time is too valuable to drop million dollar negotiations to go do education road shows. Until next time, Be Your Best! P.S. Did you see this? It all ends this week so get it Now. 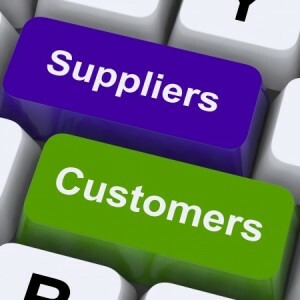 Next post: Sales Pitches – Are Your Suppliers Delivering the Goods?